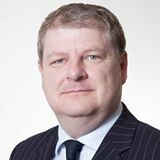 Below is the text of the speech made by Angus Robertson, the SNP MP for Moray, in the House of Commons on 6 July 2016. May I begin by thanking the Prime Minister for advance sight of his statement and for a few short hours this morning to have a look at the millions of words in the report? Today we remember the hundreds of thousands of people who have died in Iraq—Iraqi civilians and, of course, the 179 UK service personnel who have lost their lives. Today is an important and sombre day for their families, and our hearts go out to them. “I will be with you, whatever”. Frankly, it is remarkable that the Prime Minister did not think that that was noteworthy enough to mention in his statement to the House. My first question to the Prime Minister is why he did not do so, given that much of the debate rests on the rationale of the Prime Minister of the time for signing up to whatever course of action the United States was prepared to pursue? I completely understand why the families of dead and injured UK service personnel, and hundreds of thousands of Iraqis, will feel that they were deceived about the reasons for going to war in Iraq. I completely understand why they also feel let down when it comes to the post-conflict situation, and the Chilcot report catalogues in graphic detail the failures in planning for post-conflict Iraq. “The UK did not achieve its objectives”. Lack of planning has been evident since, in relation to Afghanistan, Libya and Syria; most recently there has been absolutely no plan whatever for Brexit. When will UK Governments of Tory or Labour hue actually start learning from the mistakes of the past so that we are not condemned to repeat them? I hope and expect that in the months ahead there will be the opportunity to hold to account those who are associated with and responsible for taking the UK to war in Iraq. It has not only caused hundreds of thousands of deaths; it has undermined people’s faith in Parliament and Government in the UK and left an indelible stain on Britain’s standing in the world.